Renee French on her signature style and alternative pen names. Renee French on a signature style, desk-sliding drawings, and alternative pen names. Renee French writes and draws everything from comics to children’s book and art books. 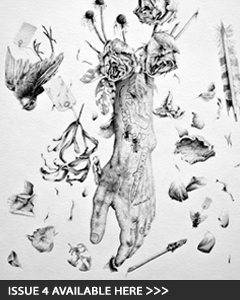 Famed for her softly sinister style created almost exclusively in graphite, Renee’s utterly distinctive world is a signature all its own. 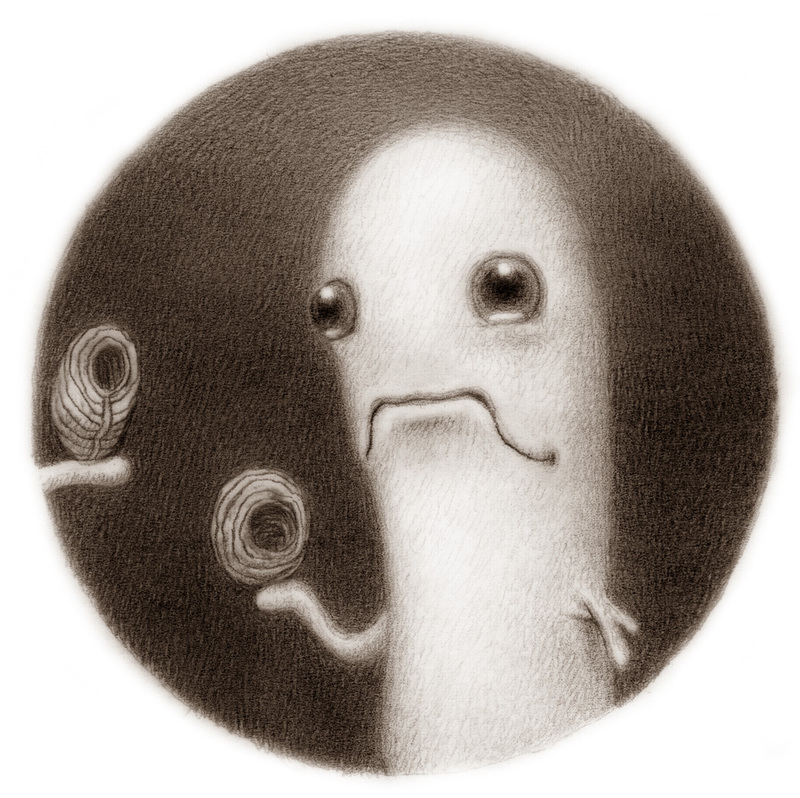 What particularly appeals to you about working in graphite? Ohhhh, I LOVE graphite. I’m a little nervous that if I start really talking about what I love about it, I’ll bare my soul and you guys will be sorry you asked… Well, so many things: I love the simplicity of it. I love the way the pencil feels when the graphite scrapes against the paper and bits of it stay embedded in the grain of the paper. I love the way the shape of the pointed end of the pencil changes and turns flat, and has a sharp edge. I love how if you barely touch the paper with the graphite, you can make a mark so light it’s hardly visible. I love that you can erase into it, and almost get pure white back again. It’s my favorite medium of all, nothing is better. Left-handed, except for baseball and ping pong. How do you conceptualize/construct a piece? Do you think of it as a story, snapshot, or abstraction? As a story mostly, even the stand-alone drawings that aren’t part of a proper story I’m working on, have a story. I can’t help myself. Your work is incredibly distinctive. We are in love with your slightly sweet, slightly sinister soft-focus vision. 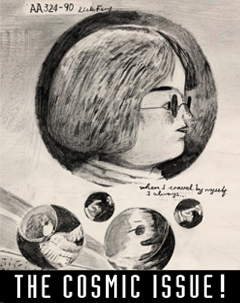 How did you come to develop that renowned Renee French fuzz? When I started doing comics, I used pen & ink to crosshatch big areas of texture trying to make it look velvety and touchable. In 2000, I changed over to using black prismacolor pencil to draw my comics and it was so nice to make the big dark areas with that pencil: the more I did it, the more the fuzz seduced me. Plus, since college I’ve been interested in trying to draw the air between your eye and the subject of a drawing. Maybe the fuzz is an attempt to draw the air. Do you have a favourite pencil? Wood? Mechanical? Do you work with a variety of lead sizes and hardness? Do you also have a favoured paper surface? I’ve drawn exclusively with mechanical pencils for the last few years. I used to draw only with black and sepia prismacolor pencils and if I never have to sharpen another pencil again, I’m fine with that. Even though there aren’t many smells that are as dreamy as a just sharpened wooden pencil. My favorite pencil right now is a .3mm Uni Mitsubishi pencil with the Kuru Toga ‘engine’ that turns the lead slightly each time it touches the paper. I’m not sure that improves the experience as much as just the feel of this particular pencil in the hand. I’ll use any .3mm mechanical pencil though as long as it’s working. I only draw with 2b now, and it’s hard to find the .3mm 2b leads in art supply stores. They’re extremely fragile and so I order them from jetpens.com or get them at Kinokuniya, which still carries a ton of mechanical pencil supplies. I used to draw on a canson drawing paper called Dessin (French for drawing) but for the past few years I’ve only been drawing on vellum. The graphite comes off on the vellum in such a different way and you can get a darker gray, almost black if you press at all on the vellum. It feels amazing but there are drawbacks. It’s incredibly smudgy, and the vellum as a finished piece, is hard to handle. I’ve had entire stacks of drawings slide across a desk and onto the floor, just from one nudge. It’s weird stuff and I probably should change back to drawing paper at some point but I can’t pull myself away from it. What size do you tend to work at? Do you have a preferred scale? My drawings are pretty tiny. 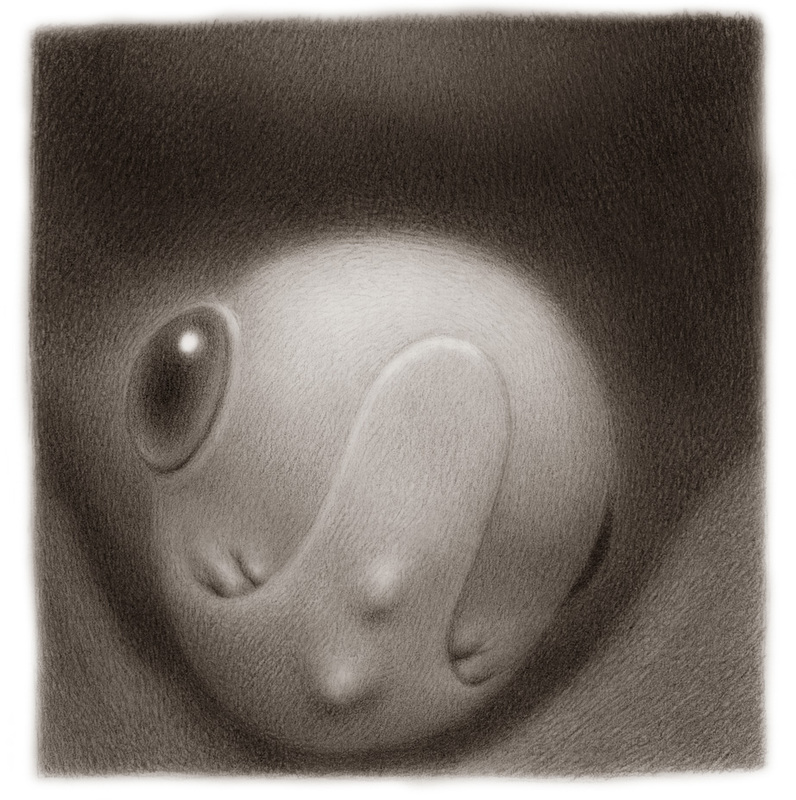 Most of them are 2.5 x 3 inches and I like if they’re printed at 100% in the finished books, and now sometimes enlarged. It’s convenient for gallery shows. A few years ago, I had an exhibition in Tokyo and brought the entire show on the plane in a greeting card envelope. That size feels intimate and being able to carry them anywhere counts for something. We travel a lot and I can work in hotel rooms and on the plane, etc. As I get older, my eyes are having more trouble with that scale though. I’ve got a few pairs of bifocals and still think I’m going to eventually need one of those giant magnifiers mounted on my drawing table. What is your favourite subject-matter? What’s the particular attraction? 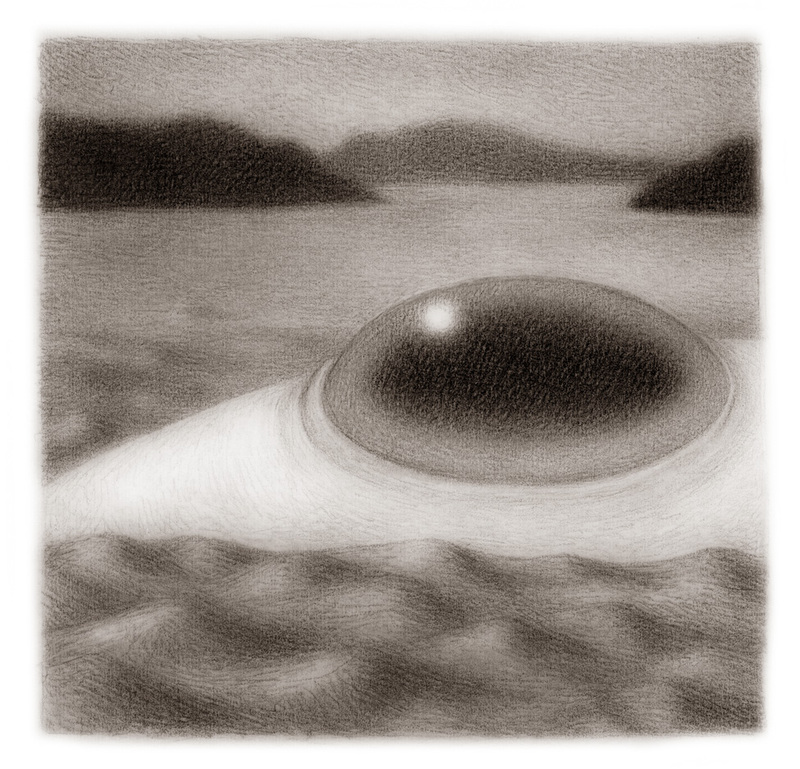 Landscapes with water and islands, creatures with adorably huge, ridiculous eyes, and portraits of guys with olde timey suits and awesome hairstyles. More like a notebook with notes and drawings, so I always have a place to write down ideas quickly before I forget them. Your mind-world is somewhere we’d love to take a walk through. What kind of things do you think have influenced and inspired your vision the most? That’s hard to answer. I don’t really know. Maybe if I knew I wouldn’t have to draw that stuff anymore. Are you someone who has very vivid dreams? Or are you more of a lucid day-dreamer? Yeah, I’ve always had vivid dreams and I used to write them down in a dream journal. When I was little, they were more violent with lots of blood, and now they’re more subtle but still scary a lot of the time. Can you tell us about a favourite piece of yours, or a favourite creative experience? 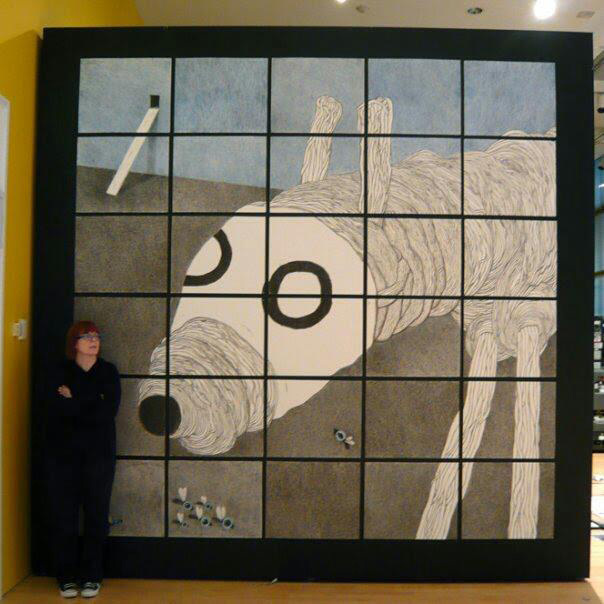 A few years ago there was an anthology called Abstract Comics, and an exhibition at CUNY’s James Gallery in NYC to go with it: Andrei Molotiu asked me to do a 12ft x 12 ft drawing for the exhibition on one of the walls of the gallery. I had said ‘yes’ on the phone with the curator and after saying yes I sat there looking at my studio wall doing the math, and realising what I’d agreed to do was close to impossible in the time I had to do it! I’d agreed to crosshatch the entire drawing and it turns out: 12 x 12 is a really big drawing… I broke it down into 30 sheets of 24 x 28 inch drawing paper and drew most of it in my studio with oil pastel and colored pencil in California, before going to NYC to finish the rest in a hotel room; and then installing the sheets on a wall with the help of a nice gallery assistant and his cherry picker. It was an amazing feeling to see the final piece go up and to see the drawing fit together into a whole. I’ll never forget that day. What are you early memories of drawing like? I grew up in NJ and as a kid I loved spaghetti westerns: I watched them on TV whenever they came on, which was pretty often in the 70s. I remember vividly a day when I stayed home from school sick, and was drawing as usual, I decided to draw a place I’d like to be instead of that couch. I drew a desert with cactus and a canteen, and a horse with no rider in the distance. I remember thinking, “This is great, if I want to go there I can just draw it.” I still do that. We’ve been seeing very exciting preview images of your latest work “Hagelbarger and that Nightmare Goat”. Could you tell us a bit about the book and the inspiration behind it? The Hagelbarger character himself is a sea creature and he comes from a short piece I did for an anthology last year about food. He was part of the food chain and had his arm eaten by a bird, whose baby bird later dragged Hagelbarger home as a guest for dinner. Awkward. Rina Ayuyang at Yam Books and I wanted to do a book together and that character seemed like a starting point. It’s really a trippy story that ended up having an evil Goat character, and two other sea creatures who fart in their sleep and a stick that glows etc. Caffeine, but I like it cold. You also publish children’s works under the name Rainy Dohaney. What was the impetus behind the pen name? And do you have another alter-ego floating around in you? That pen name happened when Simon & Schuster was publishing my picturebook Tinka. The idea that a parent might go looking for more of my books on Amazon and possibly buy Marbles in my Underpants, for their 5 year old was scary. That book sounds like it might be for kids but I feel like some adults aren’t old enough to read it! My most recent kids book, Barry’s Best Buddy for Toon Books, was written under my real name, Renee French. I hope by now the Marbles book is too hard to find. Do you also sell prints and originals? Where else could someone get a hold of more of your work? 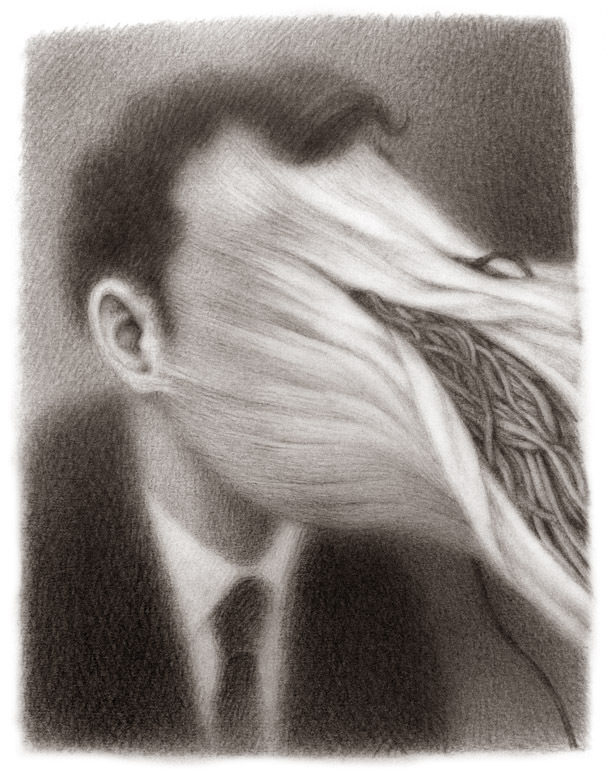 The Adam Baumgold Gallery in NYC has quite a few of my drawings for sale. Almost all of the drawings from my book H Day are available there. I haven’t started selling many prints but would like to make enlargements of the tiny drawings and have prints of those. Favourite city in the world? Favourite city to draw/sketch/illustrate/create in? Sydney is the city I end up drawing in most. You can find more of Renee’s work on her blog, or on her instagram. 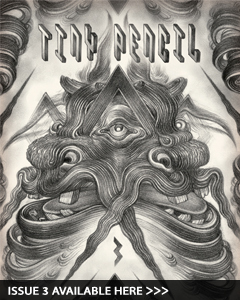 Renee’s work appears in Issue 3 of Tiny Pencil: The Beast Issue… Monsters, Machines and Unnatural Things! Available to buy here. This interview was brought to you by The Tiny Pencil – fine purveyors of the pencil arts. Follow us on twitter @TheTinyPencil, Facebook, tumblr, and instagram for the latest news on all of our new anthology artzines. 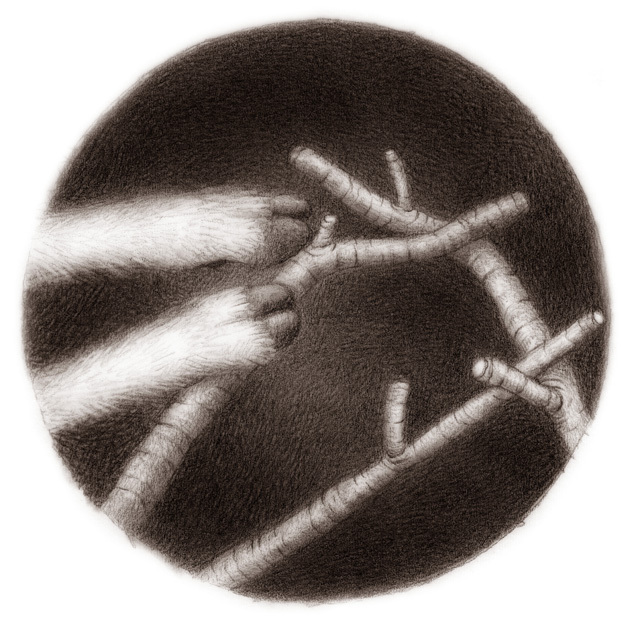 Gareth Brookes on crayons, suburban England, and the existential life of dogs. Tiny Pencil is Copyright © 2013-2019 Amber Hsu / Tiny Empire Enterprises. All artwork, stories, illustrations copyright original respective author. All Rights Reserved.